This 4-bedroom apartment in Chamartín is stylishly decorated and offers a fully equipped kitchen with a dishwasher. The 130 m² property has 1 bathroom, separate toilet, and a living area with a dining table and 2 sofas. 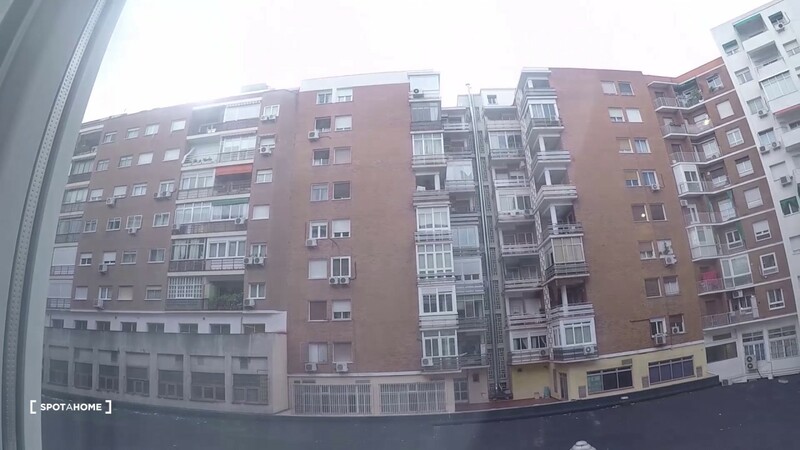 The apartment has a convenient location close to Paseo de la Castellana and within walking distance of shops, restaurants and supermarkets. The area is also very well connected by public transport, with Plaza de Castilla and Chamartín station within a 10-minute walk. The kitchen is spacious and comes with all you need to cook. The living area will be a great space to get to know your flatmates. The shared bathroom has a double sink, bathtub and shower. Being close to Chamartín station will enable easy travel to other parts of Spain. Bedroom 4 can accommodate couples. There is only 1 shared bathroom but there is also a separate toilet and bedroom 4 has its own ensuite. Payment: You must pay each month's rent within the 1st three days of each month. If the tenant does not wish to renew their contract, a 45 days notice before the contract agreement ends are required. This is a summary of the landlord’s policies. To read their policies in full, Click here. Plaza de Castilla metro station is a 7-minute walk from the apartment and serves lines 1, 9 and 10. Chamartín station, Madrid's 2nd major railway station, is a 9-minute walk from the apartment and serves metro lines 1 and 10, as well as regional, intercity and high speed trains.